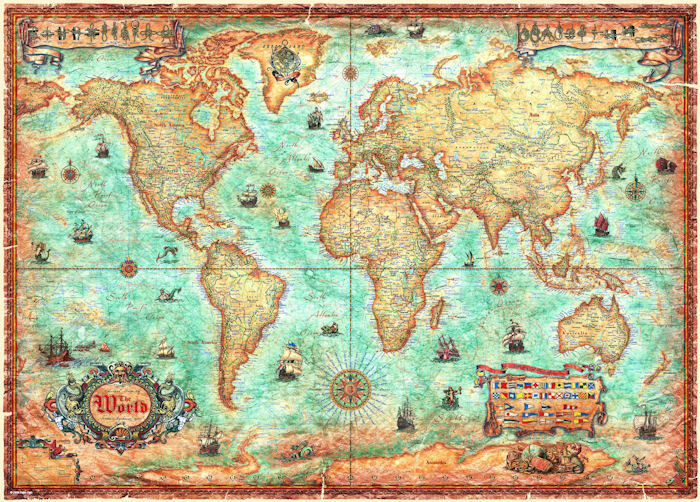 The World anique map image featured on this 3000 piece jigsaw puzzle. Finished size is 46" x 33". Manufactured by Heye.